NXP India, a world leader in secure connectivity solutions for embedded applications organized the TechConnect Industry TechSummit on ‘Next Generation Product Development Challenges and Opportunities in Automotive, IoT and Networking Applications’ at Manayata Tech Park in Bangalore. The event featured panelists from leading organizations, such as HCL, LDRA, NVIDIA and Synopsys, academic institutions, such as IIT-Delhi and startups, such as Orxca Energies, among others. The summit included two panel discussions - ‘Next Generation Product development’ and ‘Verification and Validation’. While the first discussion focused on challenges and opportunities emerging from Connected Infotainment, Autonomous Vehicles, Industrial IoT, e-bike battery innovations, security for IoT, Networking & Automotive applications and Industry-academia partnerships for training newer generations of students in associated technologies; the second panel plunged into the technical challenges associated with security in verification and validation. Some of India’s most valued dignitaries attended the discussions and debated on various product development challenges that have been exponentially increasing, particularly with shrinking geometries. The panel discussion also brought out the emphasis on addressing security aspects of the new applications at all levels of Hardware and Software abstraction with the paced emergence of autonomous cars, IoT and 5G wireless connectivity. The discussion further highlighted the increasing need to address specific technical challenges on emerging applications, such as Machine Learning and Artificial Intelligence. 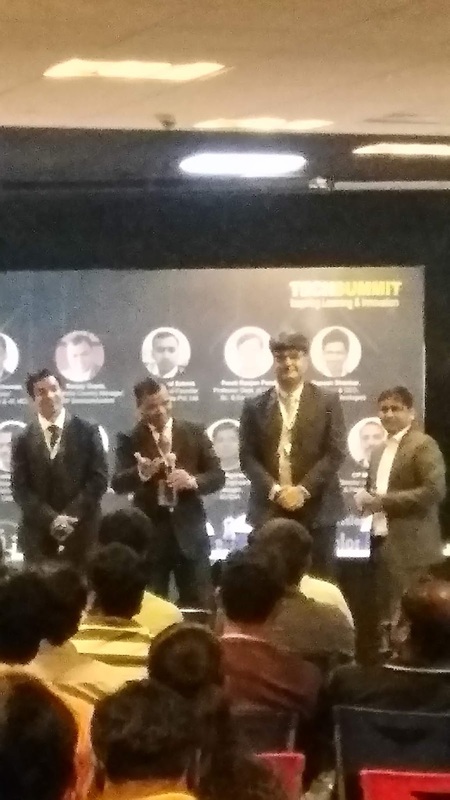 The day-long event witnessed participation from industry experts, such as Magesh Srinivasan, Global Head, Connected Car & AI, HCL; Preeti Ranjan Panda, Head of Department of IT & Engineering, IIT Delhi; Ganesh Shankar, Founder and CEO, FluxGen Technologies; Prajwal Sabnis, Co-Founder, Orxa Energies Pvt. Ltd.; Shinto Joseph, Director, South East Asia Operations, LDRA; Manoharan CP, Director, Systems Engineering & Field Sales Support, Spirent; Anand Muthaiah, VP Engineering, Tessolve Semiconductors; Puneet Ahuja, Sr. Design Engineering Manager, Cadence; Amit Sharma, Director, Corporate Applications Engineering, Synopsys; Yogesh Mittal, Director, Functional Verification & Emulation, NXP and Amit Agarwal, Senior Engineering Manager, NVIDIA. 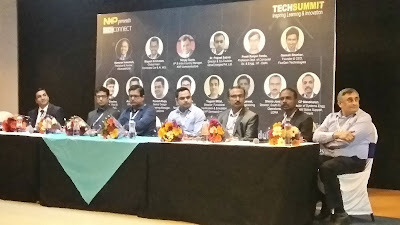 The panels were moderated by Kumaran Venkatesh, President & Partner, AXLerateNOW and Vijay Chachra, Director of Engineering, NXP Semiconductors. NXP’s TechConnect is a comprehensive platform dedicated to sharing knowledge, tools & best practices, and initiating dialogues on innovation and disruptive technologies, through events, such as the TechTalk, TechSymposium, TechTutorial, and TechSummit. In its essence, TechConnect aims to promote the spirit of innovation and empower employees to connect and learn from industry veterans.